What would a woman do to have a baby? Apparently, a lot. The pressure to have children has forced some women to steal other women’s babies and pass the kids off as their own. Sometimes, the babies are kidnapped from the hospital or the homes of their mothers. In the most extreme cases, however, an expectant mother is murdered and the fetus is removed from her womb. Here are 10 times that women stole other women’s babies and passed them off as theirs. 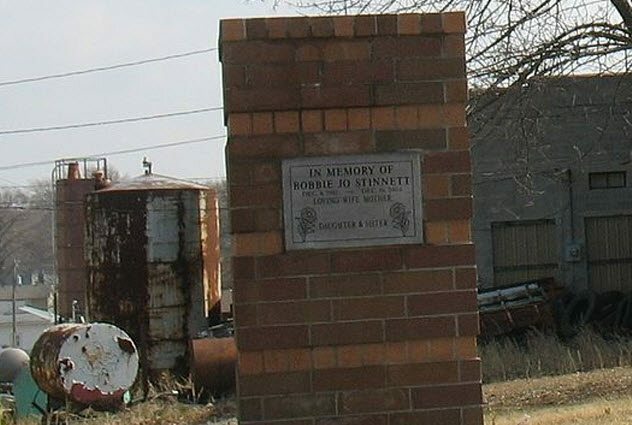 On December 16, 2004, Becky Harper went to the Missouri home of her pregnant 23-year-old daughter, Bobbie Jo Stinnett, after Stinnett failed to pick up Harper from work. What she found was the lifeless body of Stinnett. Her stomach was cut open, and her eight-month unborn fetus was gone. The murderer was believed to be Darlene Fischer, who had called to meet Harper at her house where Harper bred rat terrier dogs for sale. Investigators found no record of any Darlene Fischer in the region, giving rise to fears that the murderer had used an alias. They were right. The murderer turned out to be Lisa Montgomery. She had been telling people that she was pregnant, even though she wasn’t. There were problems with issuing an Amber Alert for the missing child because no one knew what the baby looked like. Even so, an Amber Alert was issued after a phone call was made to US Congressman Sam Graves. Tips led authorities to Montgomery. She was found in her home, watching the Amber Alert for the missing child who was in her arms. Montgomery was sentenced to death. On November 20, 2015, Angelique Sutton was going to a New York courthouse to marry Patrick Bradley when she dropped by the home of her friend, Ashleigh Wade, to pick up a wedding present. Instead of giving Sutton a present, Wade cut Sutton’s larynx (voice box) so that she couldn’t scream. Then Wade split open Sutton’s abdomen and stole her unborn baby. Afterward, Wade called her boyfriend, Andrew Praylow, to tell him that she had just given birth. Wade added that she thought she had killed someone. Praylow rushed home, where he found his apartment covered in blood and Sutton’s body in a corner. He went outside, cradling the new baby (which he thought was his) while waiting for the police. The baby, who was later christened Jenasis, survived the attack, although she suffered two knife wounds to her right thigh. Initially, Wade claimed that the baby was hers. However, she later confessed to stealing Jenasis from the womb of her real mother. Wade had been telling her boyfriend that she was pregnant, and he had believed her because her stomach had been growing. This was not Wade’s first time feigning a birth. In 2013, she had pretended to be pregnant and give birth but then claimed the baby died a few days later. In Oregon in June 2009, Yan Shubin received a call from his girlfriend, Korena Roberts, telling him that she was at home and in labor. By the time Shubin arrived, Korena had supposedly given birth but the baby appeared lifeless. Paramedics arrived and took both mother and baby to the hospital where staff members declared the baby dead and discovered that Korena had not given birth. Hospital staff called the police. A search of Korena’s home led to the discovery of the corpse of Heather Snively, who was the real mother of the baby. As it turned out, Roberts had murdered Snively and removed the baby from her womb. Roberts and Snively met on Craigslist, where Snively had been shopping for baby items. Roberts offered to give her some baby clothes but murdered Snively when she came for them. 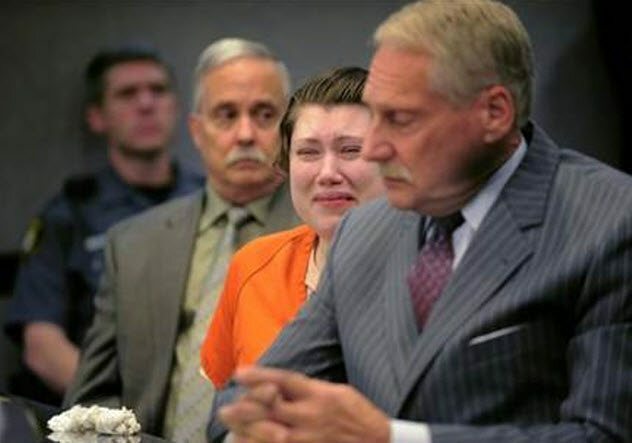 Roberts hit Snively repeatedly on the head with a police baton before cutting her abdomen with a razor and retrieving the fetus. Afterward, Roberts covered Snively’s body with a carpet and dumped the corpse inside a crawl space before calling her boyfriend and telling him that she was in labor. The baby, whom Snively planned to name John Stephen, was due in two months and did not draw a single breath outside the womb. Roberts had been telling people that she was pregnant and expecting twins several months before the murder. She even bought baby formula, parenting magazines, and a stroller just to keep up the facade. Roberts was sentenced to life in prison without parole. Georgia Tann was a notorious baby thief who ran a booming baby-selling business in the United States between 1924 and 1950. Her activities were most prominent in Los Angeles and New York. There, she collected babies from poor couples or single mothers under the guise of caring for them. Sometimes, she took sick babies from their mothers with the promise of nursing them to good health before telling the parents that their babies were dead. At other times, Tann used nurses or women disguised as nurses to steal babies from delivery rooms. When the mothers awoke, hospital staff told them that their babies were dead and had been buried by the state because the parents were poor and could not afford a burial. Tann also ran ads in newspapers where she asked troubled young girls to give her a call. She read the same papers to gather information on dead women who left children behind. Tann used the Tennessee Children’s Home Society, which she had set up, to cover the tracks of her baby-selling business. Many of the stolen babies died in her care. But no one knows the exact numbers because she didn’t keep records. The children just disappeared. 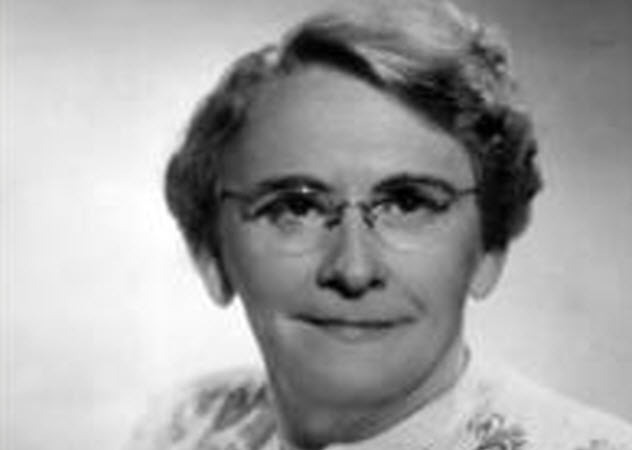 Tann’s activities came under scrutiny in the late 1940s, but she was exposed in 1950. However, she died from cancer a few days after the first reports of her activities were published. Eighteen-year-old Alexis Manigo got the shock of her life when her 51-year-old mother, Gloria Williams, was arrested for kidnapping. Alexis had to cope with the trauma of learning that her mother was a kidnapper and that Alexis was the victim. Or did she? Some reports suggest that Alexis had discovered the truth over a year before Williams was arrested and did not want Williams to get in trouble for it. 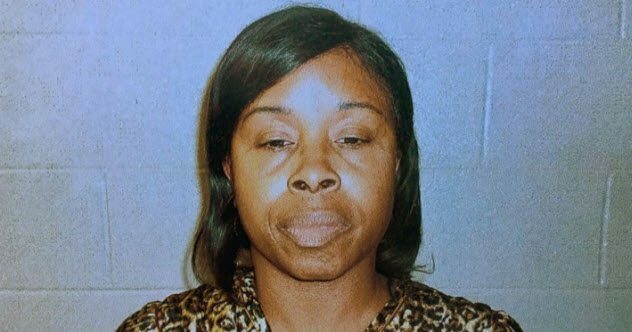 Apparently, in 1998, Williams had disguised herself as a nurse and kidnapped eight-hours-old Kamiyah Mobley from the hospital. Afterward, Williams renamed the baby Alexis Manigo and raised the child as her daughter. The 1998 kidnapping was widely covered in Jacksonville, Florida, where it took place. The city was put on high alert, and a helicopter even hovered above the hospital during the search. Police got thousands of tips about the possible location of the missing baby, yet she was never found. Alexis’s real mother always believed that her daughter would be found alive and had saved a piece of cake in the freezer on each of the girl’s birthdays. 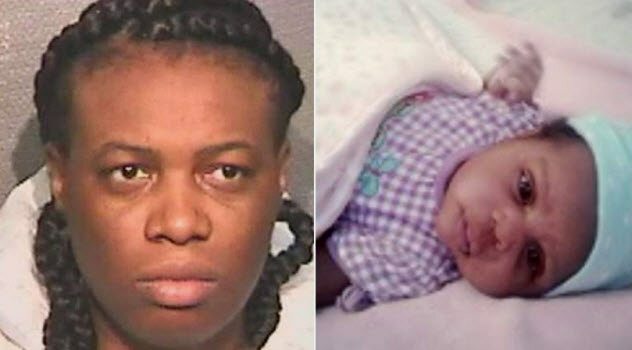 On December 19, 2017, Erika Jisela Miranda-Alvarez entered Carolina Flores’s Houston home and stabbed her to death before fleeing with her six-week-old baby, Shamali Flores. Miranda-Alvarez had been pregnant before the murder and was due for delivery in January. But she had a miscarriage and told no one, not even her boyfriend. 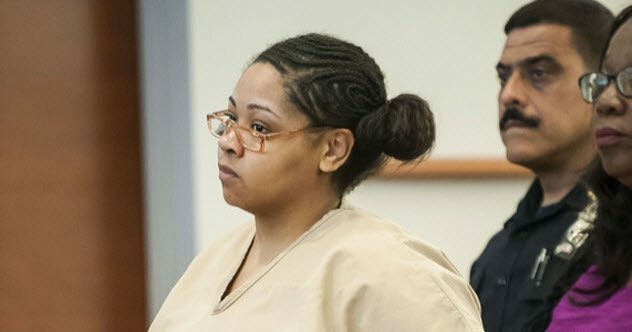 She continued pretending like she was pregnant before murdering Flores, stealing her baby, and telling her boyfriend that she had birthed a girl. The police and FBI tracked the missing Shamali to Miranda-Alvarez’s home. They found Miranda-Alvarez and her boyfriend trying to leave town with Shamali around 1:00 AM. In April 1997, someone kidnapped three-day-old Zephany Nurse from the arms of her sleeping mother in a South African hospital. Witnesses claimed that they had seen an unknown woman dressed as a nurse at the time of the kidnapping. Even when she was finally caught, the kidnapper’s identity was not revealed to protect Zephany. The woman had given Zephany another name and raised her as if she was her daughter. In a twist of fate, Zephany and her real younger sister ended up in the same school where other pupils noted the resemblance between the girls. DNA tests revealed Zephany’s true identity. The unnamed woman denied kidnapping Zephany. She claimed that Zephany was given to her by a woman who was paid to find a child she could adopt after she suffered a miscarriage. The unnamed woman never told her husband about the miscarriage and went on to pretend that Zephany was hers. The judge didn’t believe the adoption story and insisted that the woman had kidnapped Zephany. 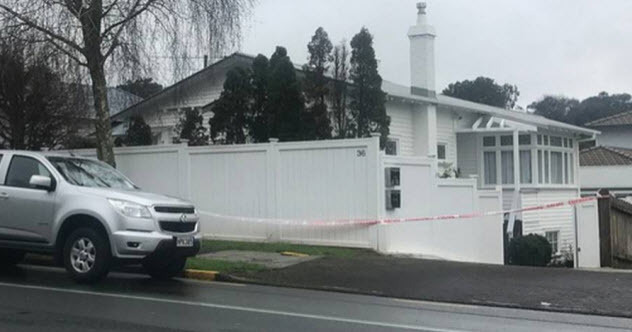 On August 9, 2017, 21-year-old Nadene Faye Manukau-Togiavalu and 19-year-old Sydnee Toulapapa broke into a home in the Epsom suburb of Auckland, New Zealand, and stole an 11-day-old baby. What followed was a six-hour search that involved over 80 police officers. Investigations revealed that Manukau-Togiavalu had pretended to be pregnant prior to the kidnapping and used props to keep up the facade. As if that was not enough, she held a baby shower and invited friends and family to celebrate the expected delivery of the nonexistent baby. Both women were charged with burglary and kidnapping. On May 16, 2001, Linda Carty and three men entered the Houston home of Joana Rodriguez and abducted Rodriguez and her three-day-old baby. The perpetrators also assaulted two other people in the house and tied them with duct tape before fleeing. Joana was later tied with duct tape, too, and forced into the trunk of a car where she suffocated to death. 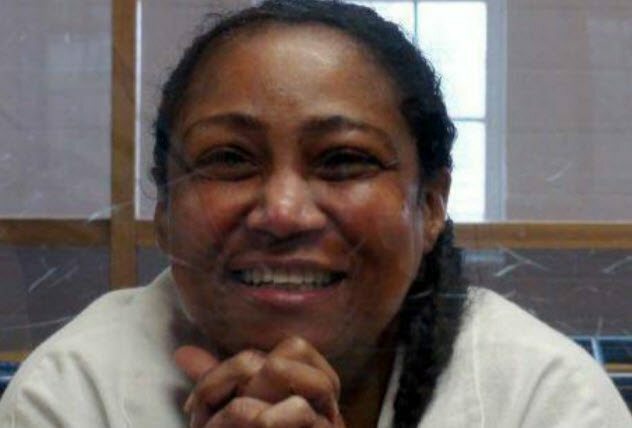 One of the kidnappers was eventually determined to be Linda Carty, who was Joana’s neighbor. Carty denied any involvement in the kidnapping-murder, although she was the person who led police to the car where Joana was trapped. Nevertheless, Carty was sentenced to death while the three men were given jail terms. Prosecutors deduced that Carty abducted the baby because she had suffered several miscarriages in the past. In Uberlandia, Brazil, 38-year-old Aline Roberta Fagundes was charged with murdering 18-year-old Gabrielle Barcelos Silva and stealing her baby from her womb. Fagundes had tricked Silva into coming to Fagundes’s house, where she added tranquilizers to Silva’s drink to knock her out. Then Fagundes performed a caesarean section on Silva and removed the unborn baby from her womb. 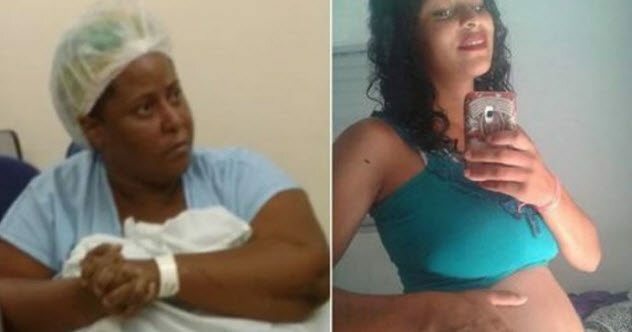 Once done, Fagundes smeared some of Silva’s blood on her own body and called emergency services, saying that she (Fagundes) had given birth on the street. Fagundes and the baby were taken to the hospital where staff called the police over suspicions that Fagundes was not the real mother of the baby. Meanwhile, Fagundes’s 14-year-old son also called the police after he found their house covered in blood and Silva’s dead body in the backyard. It wasn’t long before the police connected the dots. Fagundes claimed that she had committed the murder because her partner threatened to leave her if she had another miscarriage. She also said that her unnamed partner knew about the kidnapping and murder, but he denied any knowledge or involvement. The baby survived the ordeal. Read more horrifying stories about babies on 10 Horrifying Facts About Baby Farms and Top 10 Bizarre Places Where Newborn Babies Were Found Abandoned.